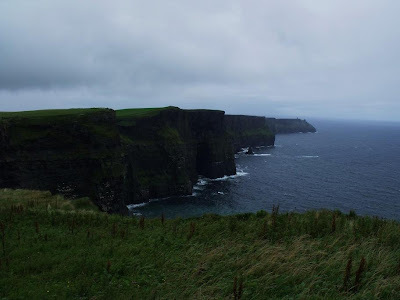 Pictures of Ireland: Cliffs of Moher, one of the wonders of the world? Cliffs of Moher, one of the wonders of the world? 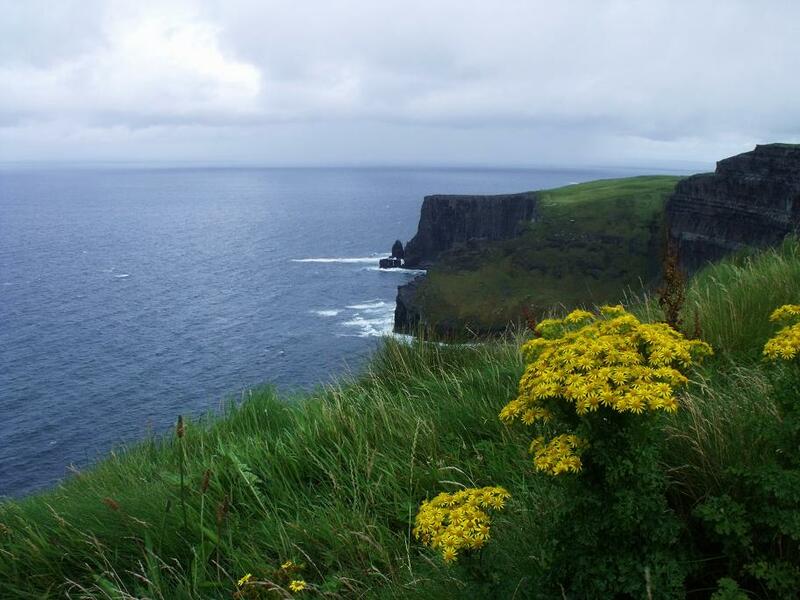 The Cliffs of Moher are 8km long at the highest just over 200 metres high and attract One Million visitors every year. It has made it to the final 28 of the New 7 Wonders of the World, it has an award winning visitor centre and to cater for all the visitors needs including the disabled. It is on the edge of the Burren, a world heritage site. 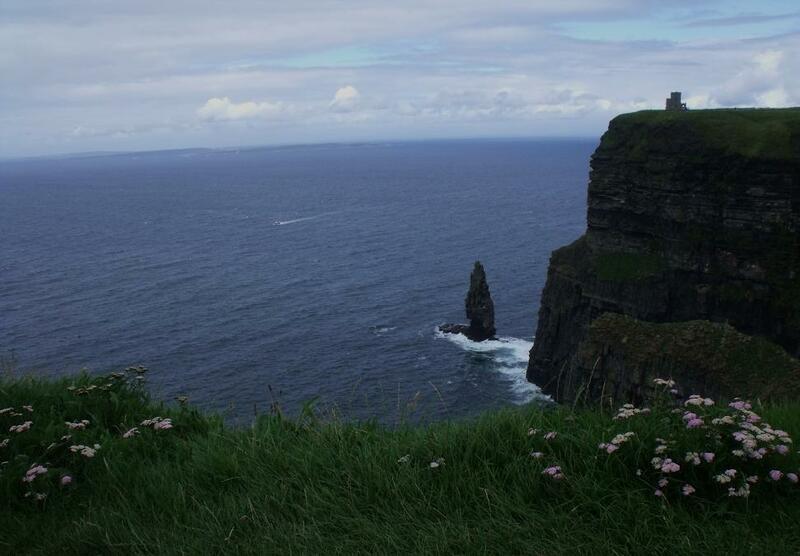 The little tower is O'Briens Tower from it on a clear day you can see the Aran Islands and Galway bay, the little shadow on the horizon is the Aran Islands. A view of the cliffs from the other side, where your not supposed to go. Great shots - love that twilight! Local legend has it that the American who bought the castle a while back had a massive party, invited all the neighbours, gave them a rollicking good time and then they left, never to be invited back! 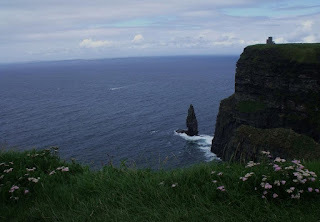 By the way, did you ever see the cliffs at Belderrig, in the vast swathe of pure Irish wilderness mid way between Ballycastle, and Bellmullet, Co. Mayo? Highly recommended..
@ Charlie,it was actually a summer morning and the sky was overcast. 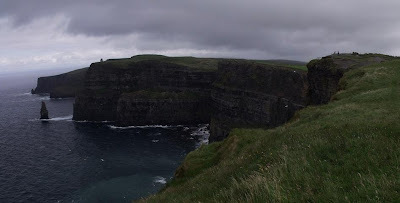 We made it halfway along the cliffs "illegal" path when the wind forced us to turn back. 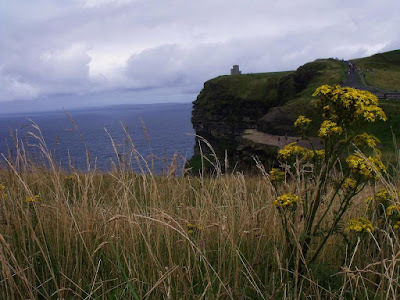 I will look out for the Belderrig cliffs when I am up that way again. Staigue Ringfort, Sneem Co. Kerry. Ruin overlooking lakes of Killarney.